An Original Vintage Theater-Used Unfolded Double-Sided One-Sheet Movie Poster (1sh; measures 27" x 39 3/4" [69 x 101 cm]) Condition: Very Good (C6) See our 10 GRADE SYSTEM Page for more information. 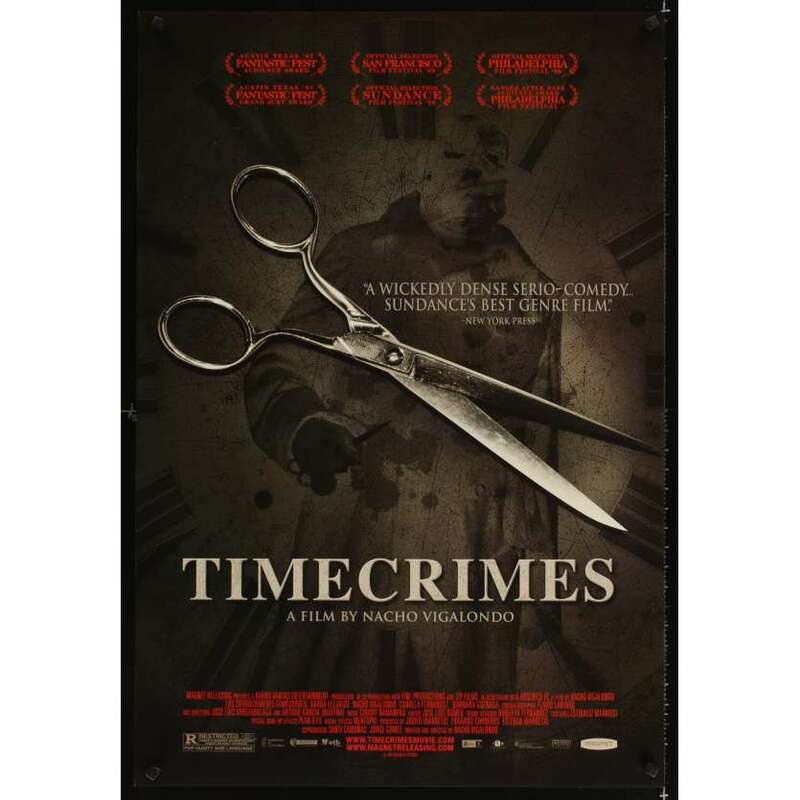 Timecrimes (Los Cronocrímenes) is a 2007 science fiction spanish film with a time loop plot device written and directed by Nacho Vigalondo. IMPORTANT INFO: Note that this poster was never folded! An unfolded poster is almost always far more difficult to find than a folded poster of the same title, and finding unfolded posters in excellent condition is even more difficult!